FMC7 is a transmembrane glycoprotein with a molecular weight of 105 kDa. This antigen was described as a particular conformation of a surface protein encoded by the CD20 gene. FMC7 antibody reactivity to its particular CD20 epitope was found to be dependent of membrane cholesterol level. 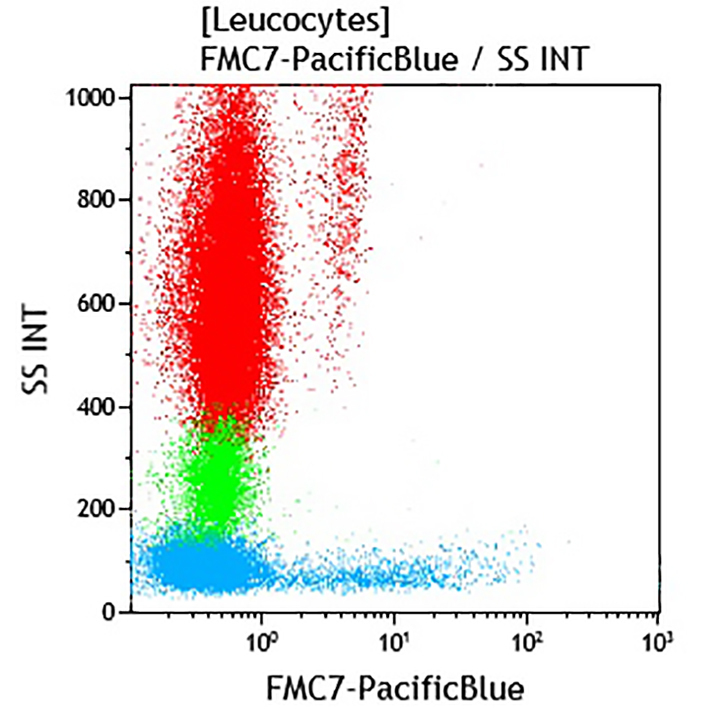 In circulating blood cells, FMC7 is expressed by a B lymphocyte sub-population. It is not detected on T lymphocytes, NK cells, polymorphonuclear granulocytes, platelets, nor on erythrocytes. The subpopulation of B lymphocytes expressing the FMC7 antgen expresses surface immunoglobulins, thus defining a stage of maturation of the B lymphocytes distinct from FMC7– B lymphocytes. Clone Description The FMC7 antibody reacts with a subpopulation of peripheral blood B lymphocytes and tonsil B cells, but it does not react with granulocytes, monocytes, platelets, erythrocytes, T lymphocytes or null cells.